I love The Broke and the Bookish’s Top Ten Tuesday! There are over 200 bloggers contributing to this week’s meme talking about books they are looking forward to in 2013. Go check them out! Below you’ll find my picks for books that I’m looking forward to in 2013. 1. 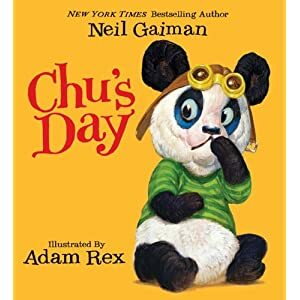 Chu’s Day by Neil Gaiman and illustrated by Adam Rex — Neil Gaiman writes about a sneezing panda? I’m interested! 2. 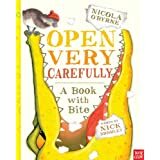 Open Very Carefully: A Book with Bite by Nick Bromley and Nicola O’Byrne — Being a Southerner originally (but it’s been 20 years since I lived in the South), I’m always interested in alligators. This story has me especially curious. 3. 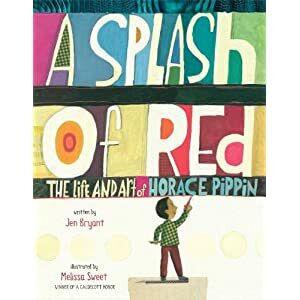 A Splash of Red: The Life and Art of Horace Pippin by Jen Bryant and Illustrated by Melissa Sweet — Horace Pippin was a self-taught African-American painter. Learn more about him and see his amazing paintings here. After you see his works, it will be very easy to see why I’m looking forward to reading this book with my son. 4. The Boy Who Cried Bigfoot! 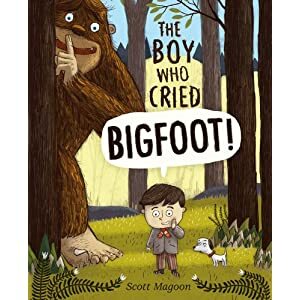 by Scott Magoon — This is a twist on the Boy Who Cried Wolf story, but with Bigfoot and maybe Bigfoot is real? I love picture books about Bigfoot. This looks like fun! 5. 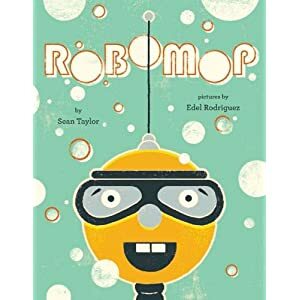 Robomop by Sean Taylor and Edel Rodriguez — Robot + Cleaning + Looking for his place in the world = Very Interested! I’m looking forward to it! 6. 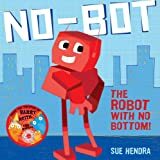 No-Bot, the Robot with No Bottom by Sue Hendra — Robot + No Bottom = Ha! Because bottoms are funny, but not having a bottom? Very funny, especially when the robot on the cover seems to be smiling. 7. 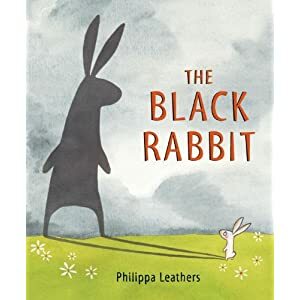 The Black Rabbit by Philippa Leathers — Debut author-illustrator creates a picture book about a rabbit and his shadow, while also learning a bit about friendship. I’m definitely curious. 8. 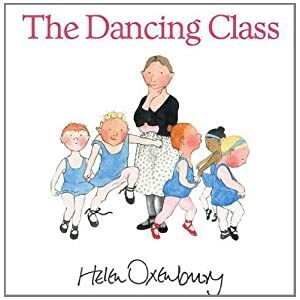 Dancing Class by Helen Oxenbury — Helen Oxenbury = Goodness. I love her books. They are good and beautiful and this one looks like it will be, too. 9. 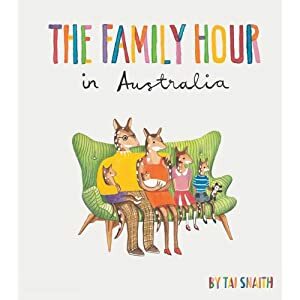 The Family Hour in Australia by Tai Snaith — I love Australia and Australia has produced some amazing children’s book writers from Mem Fox to Jackie French and so many others that I’ve yet to discover. Thank you, Australia! From the description of this book, Tai Snaith, “reinterprets the daily lives of 15 Australian native animals.” How wonderful! 10. 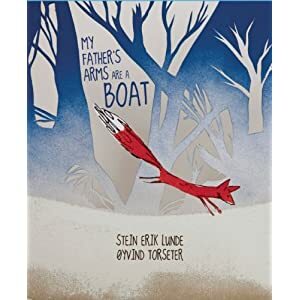 My Father’s Arms Are A Boat by Stein Erik Lunde Illustrated by Oyvind Torseter, and Translated by Kari Dickson — This book was awarded the Norwegian Ministry’s Culture Prize for the Best Book for Children and Youth in 2009 and then in 2011 it was awarded the German Children’s Literature Awardand. Now it is coming to the United States. Just from the cover, it looks beautiful and the message is that, “even in the face of absence and loss, so strongly and clearly that we know at the end that everything will, somehow, be all right.” I can’t wait. These look great! I am personally looking forward to Prince Puggly of Spud and the Kingdom of Spiff. Neil Gaiman writes a children’s book – I’ll check it out. The Boy who Cried Bigfoot looks good too. Did you see this? True or not, it’s awesome. 🙂 That’s wonderful! I’m looking forward to reading about you all seeing Mem Fox. The formatting is all wonky — but it is indeed a Haiku. Well done! What a suspenseful and exciting poem….cheeky snail…you eat lettuce, not letters! These have got me so excited! Love the look of the new Neil Gaiman, The Black Rabbit and My Father’s Arms Are A Boat (what a beautiful title). You’ve set me off to see what other treats are arriving next year. Wonderful! Thanks for reading! 🙂 I really like your blog post about Inspector Mouse. http://alittleinkblog.wordpress.com/2012/11/24/inspector-mouse-by-bernard-stone-with-illustrations-by-ralph-steadman/ Looks like Amazon has a few copies. I’m going to try and grab a copy pronto. Open Very Carefully looks fun! Added to my wishlist! Fantastic! 🙂 If you have a chance, please let me know if you read it and like it. I’d love to hear! So intrigued by A BLACK RABBIT! And just in time for Easter too. Going on my TBR list at once.